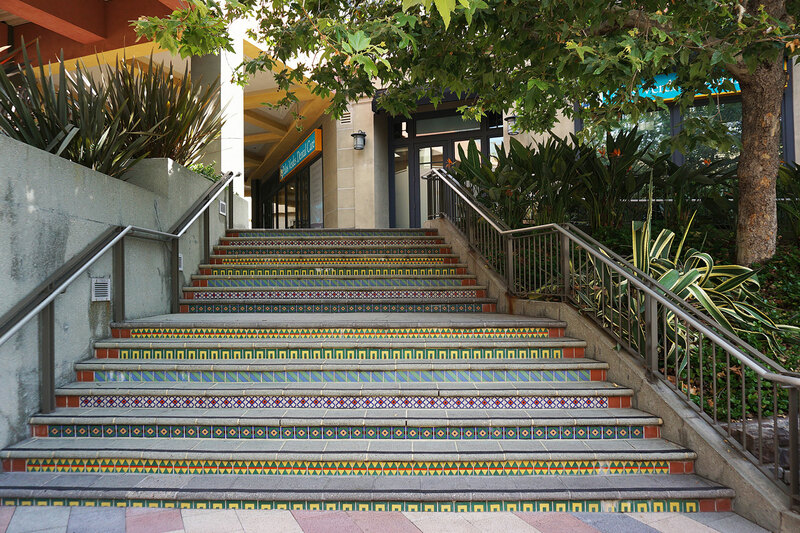 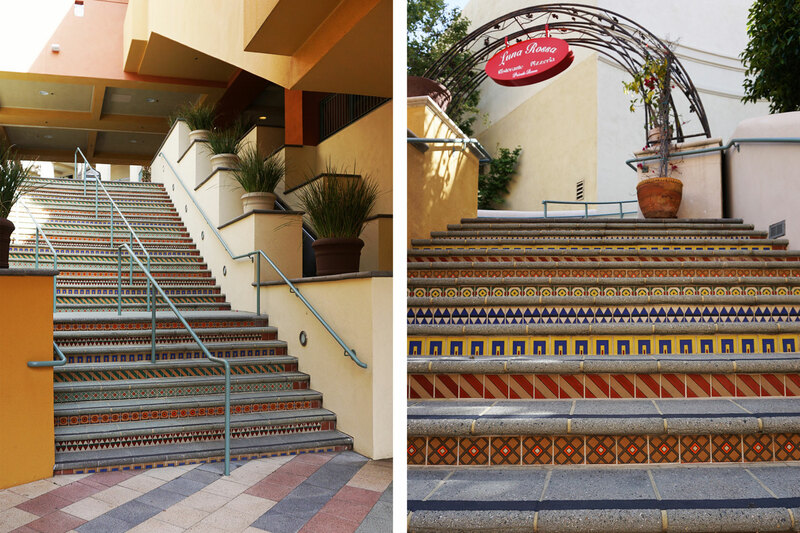 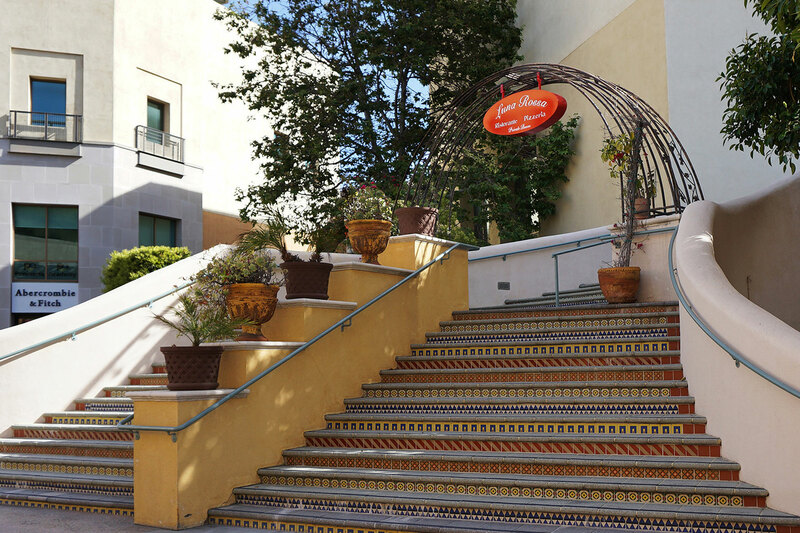 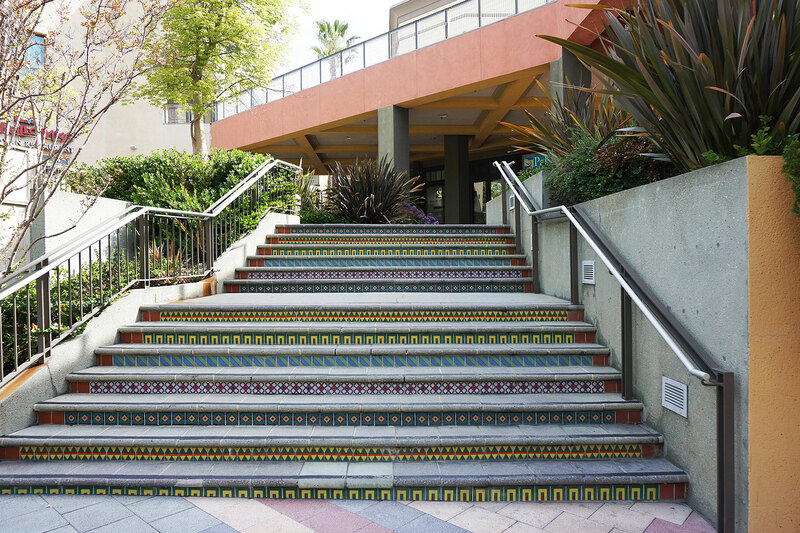 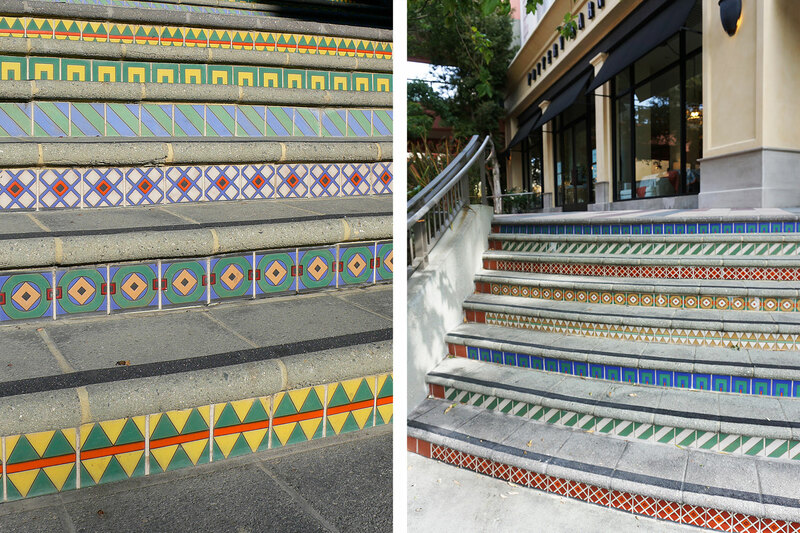 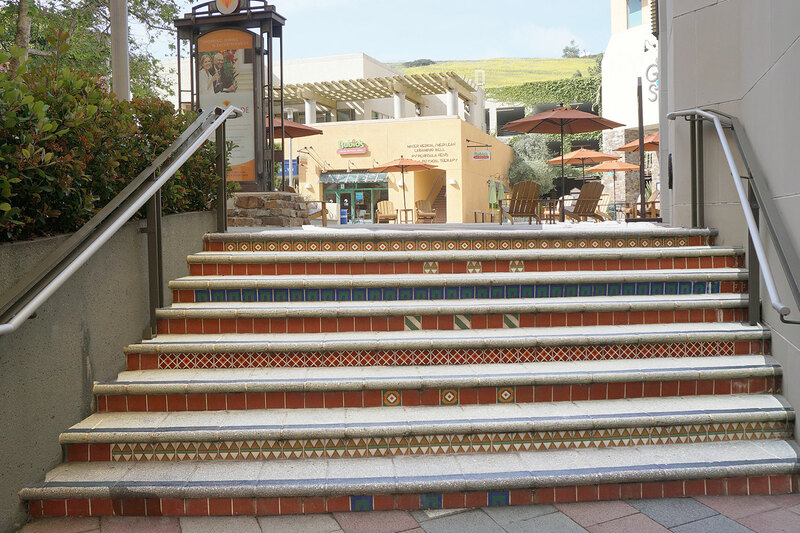 Working with the design firm Jerde Partnership, Native Tile created custom stair riser tiles for four large stairways and signage throughout the entire outdoor shopping center renovation. 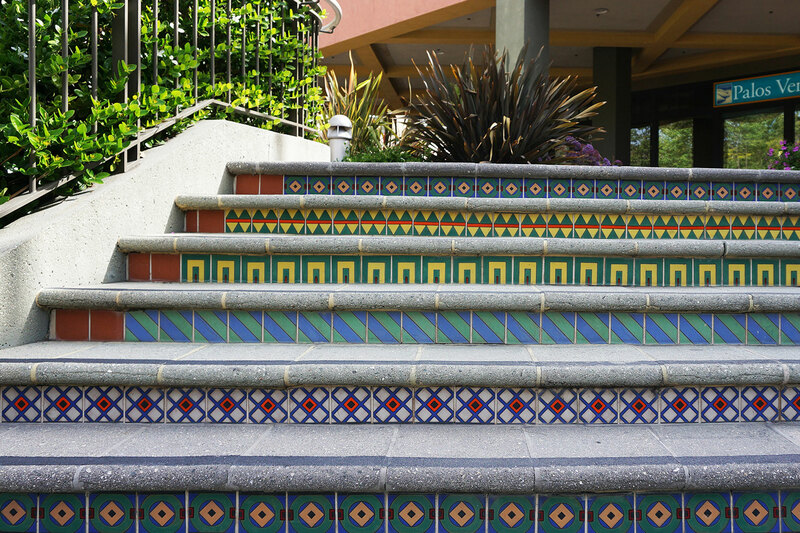 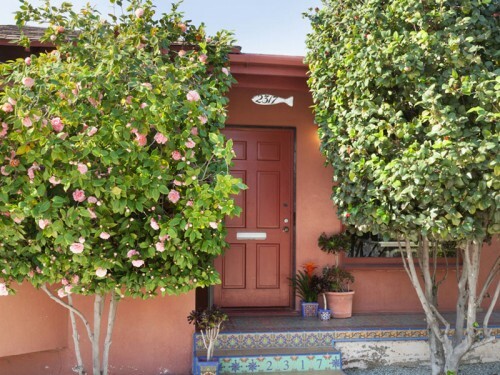 The tiles needed to be simple and colorful to compliment the contemporary architecture. 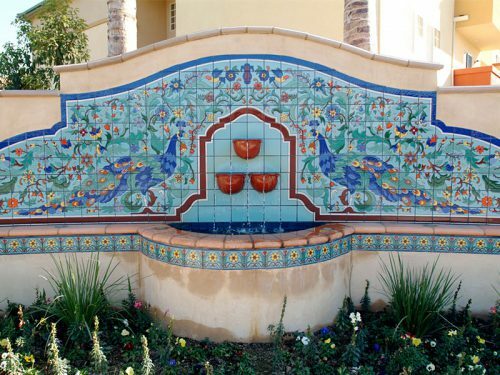 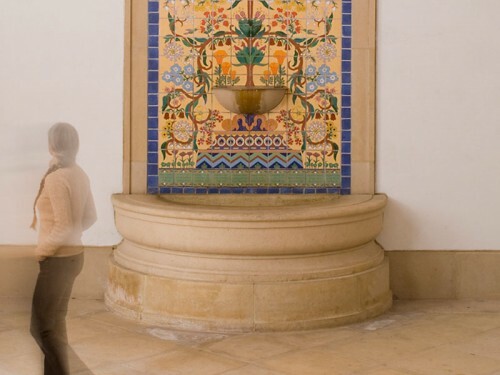 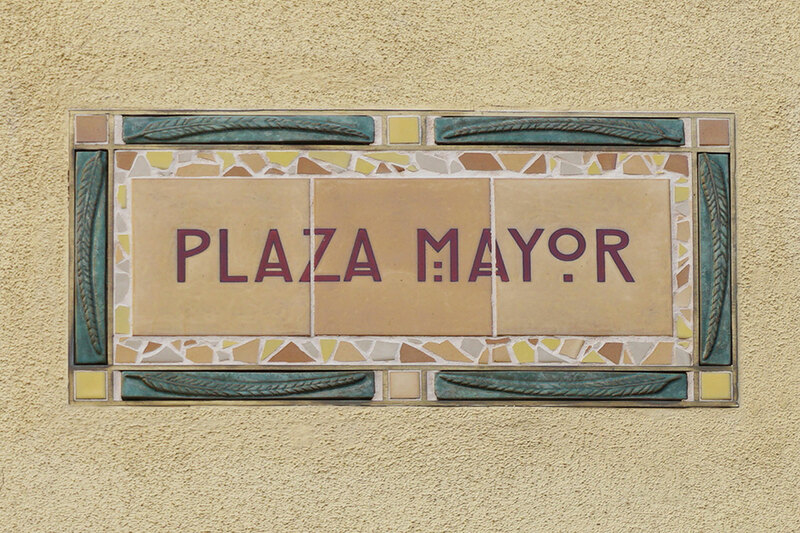 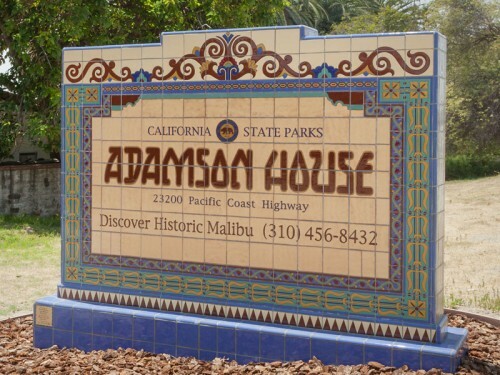 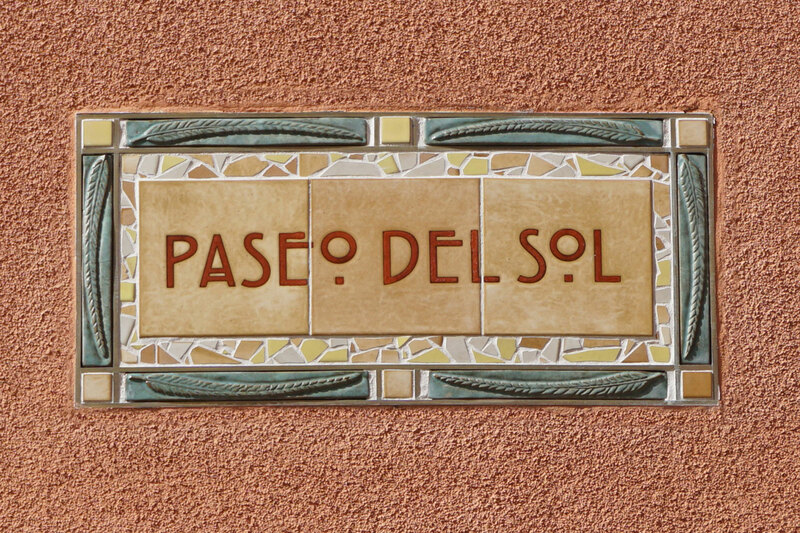 The location signs incorporated hand carved relief tiles and broken tile mosaic with rich custom matte glazes.